Open minds seem to be an endangered species these days. Thanks largely to the media bubble, groupthink and social media, we are exposed more and more to viewpoints that coincide with our own, and less and less with views that contradict or challenge us. The political left and right are growing further apart and at times seem completely unable to communicate. 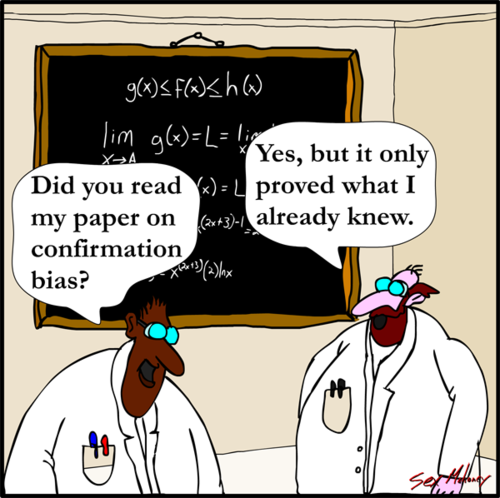 We receive so much confirmation bias of what we think and say that it’s easy to believe that we’re always right, that anything different is always wrong, and there can never be any middle ground. If we believe something is wrong, having that belief challenged can help us alter our viewpoint and develop a more navigable view of the world. If we believe something is right, having our belief challenged helps us identify and clarify why our belief is right. Questioning our beliefs can help us to understand important aspects of those beliefs and the framework supporting them, be they social, political, religious, or anything else. If we are uncertain about an issue, we can connect with views different to our own, widening our perception of the world and others, giving us new perspectives that may enrich us as an individual. Being open to the beliefs and viewpoints of others helps us understand them and their backgrounds, enabling us to get along with them, find middle ground, communicate and (when necessary) build bridges. Understanding the beliefs and views of others can also help us better understand who we are as individuals, strengthening our own sense of identity. Questioning our ideas helps us think. That’s how philosophy evolved and the framework upon which modern science is based. Thinking is good for us. It’s good for our peers, and good for the communities we live and work in. Thinking makes new ideas possible, and is the basis of the development and advancement of society. We become rational adults by defining and refining our ideas. We cannot do this if our ideas are never challenged or questioned, and if we are never taught how to challenge or question. Shutting down dissent stifles free thought, free speech and the development of humanity. Ideas can be bad or wrong, but censoring them doesn’t kill them. Active debate can and does. Censorship simply makes incorrect or bad ideas more appealing, and can strengthen them. “No platforming” stifles free speech, which is the basis of free thought. If we truly believe in free speech, we must defend the speech of all, including those with whom we strongly disagree. 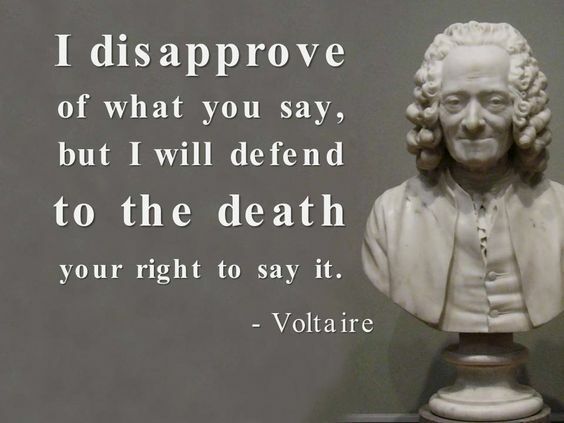 Defend their right to speak freely – then kill their poor arguments and bad ideas with better ones. 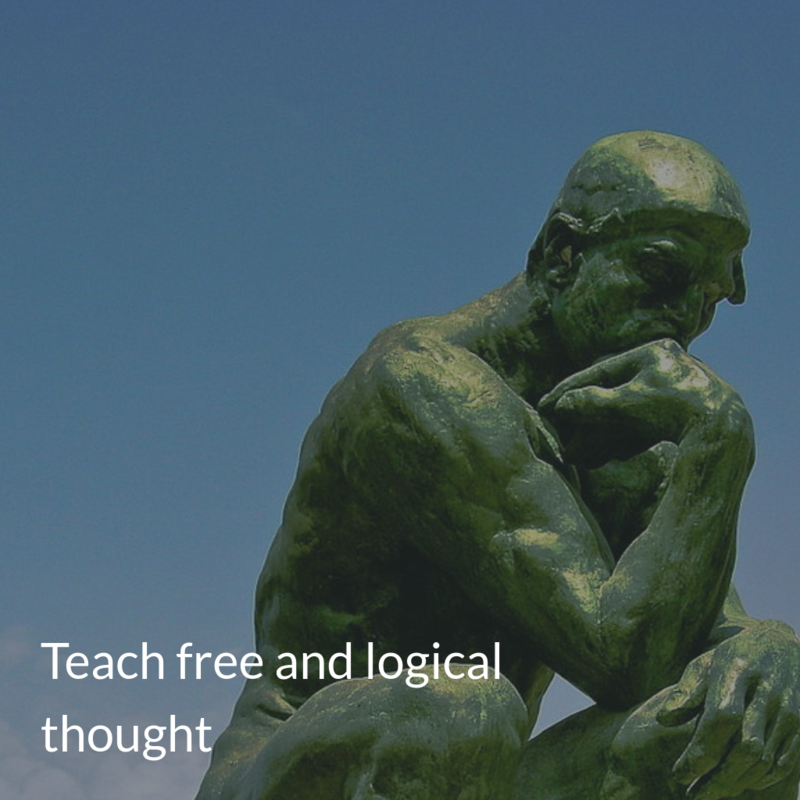 Create open minds by fostering logic, free speech, and free thought. Ideas can be dangerous, which is why all ideas merit honest discussion and analysis. Genuinely bad ideas cannot withstand logic and sensible arguments. The willingness to discuss all ideas demands intellectual rigour and a lack of fear. Shutting down debates indicates a lack of trust in our own ability to support our own ideas. If we believe our ideas are worthwhile, they should be defensible against debate or attack. If not, perhaps they need to be superceded with something better. Teach your kids to value reasoned debate, freedom of speech and the search for the truth. In doing so, you will support clarity of thought and the ability to think rationally – skills that will benefit them as adults as they move through life. I request that you delete this post as you have deleted my critical comment on your subsequent post on how everyone should fat shame their daughters. You are clearly a hypocrite who does not appreciate free speech or thought and who champions censorship. Hi Alison – No comments of your (or anyone else’s) have been deleted. You are mistaken. Please check your facts before labelling people hypocrites. I believe strongly in free speech, even when people have their information wrong and when they are abusive to others. Thankyou for allowing me to exemplify what I believe in.